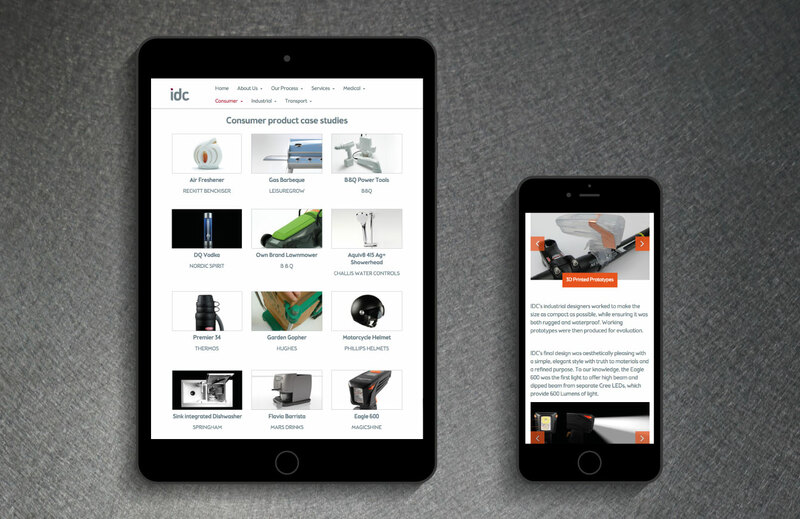 IDC’s new website was designed and developed by Naked Creativity in response to the client’s brief for a dynamic, engaging website that encourage visitors to explore IDC’s portfolio of engineering and industrial design projects in detail. 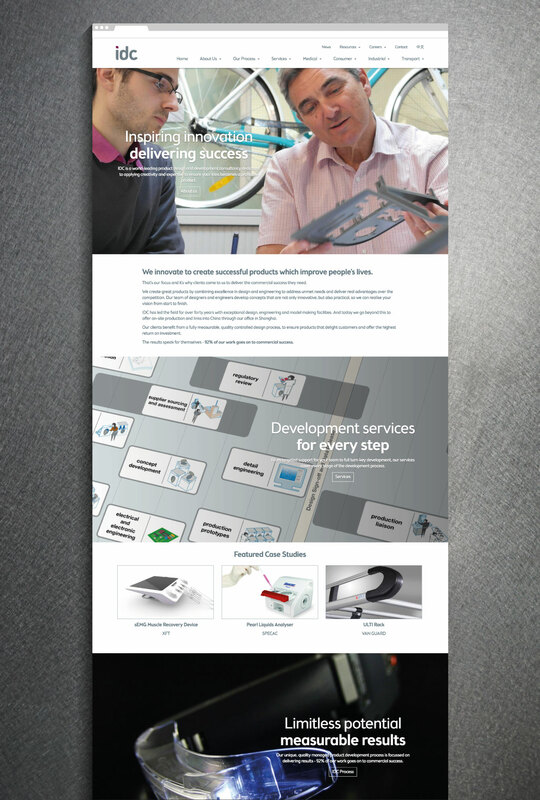 The new website is designed to be highly modular – it is built from a series of reusable components that allow responsive pages to be built to a layout that suits the purpose and content of each section or page. 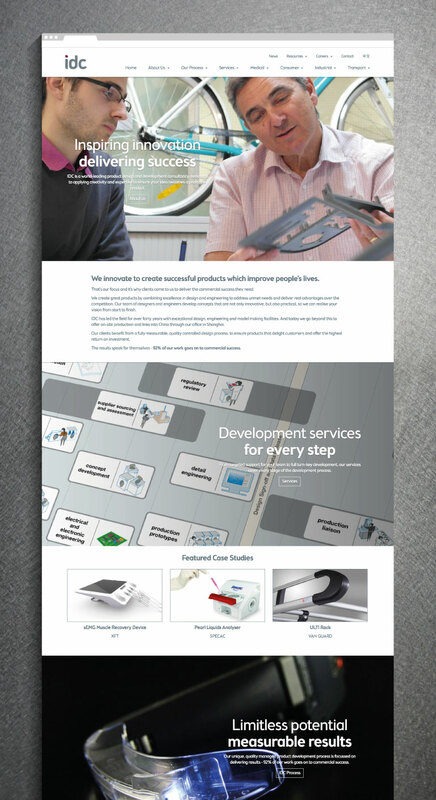 Case studies are grouped in industry sectors, but can also be grouped more specifically by tagging. These tags are used to show other relevant case studies, or news, based on the current page. 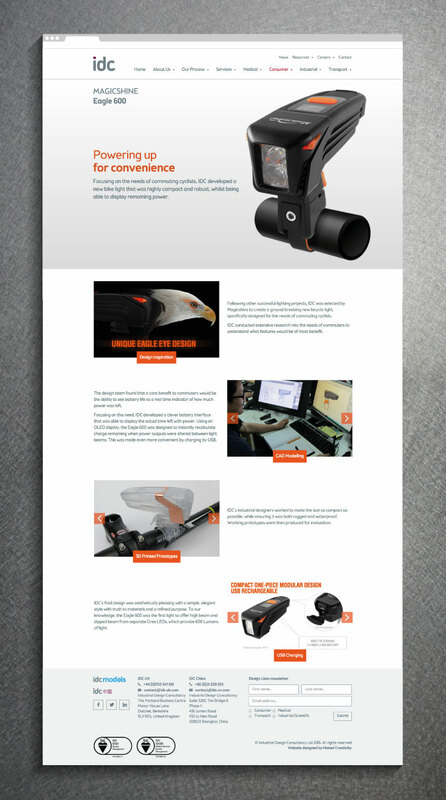 With this tagging in place, it is possible to update related projects across the website without needing repeat the edit on each affected page. 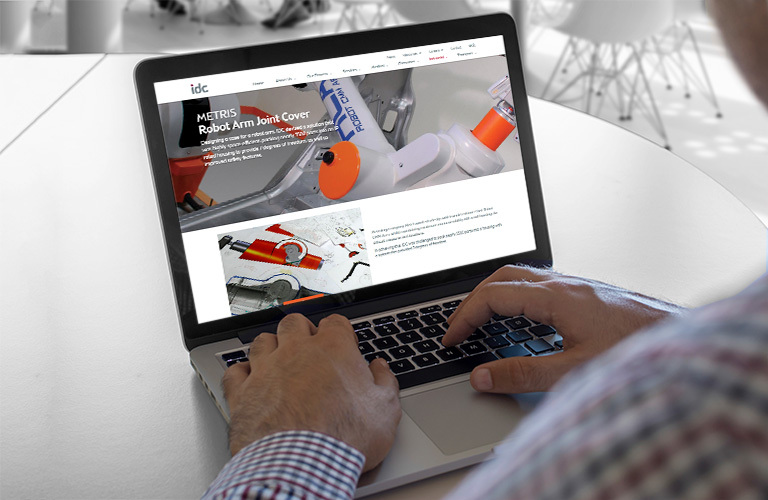 IDC Models is IDC’s model making and prototyping division. 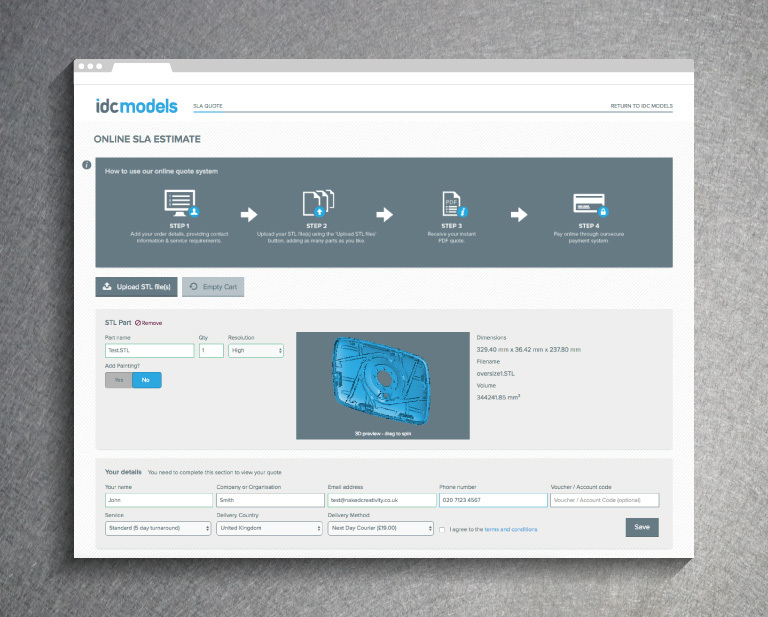 IDC Models has a high-end 3D printing machine which uses stereolithography (SLA) technology to produce quality prototype parts from CAD data. 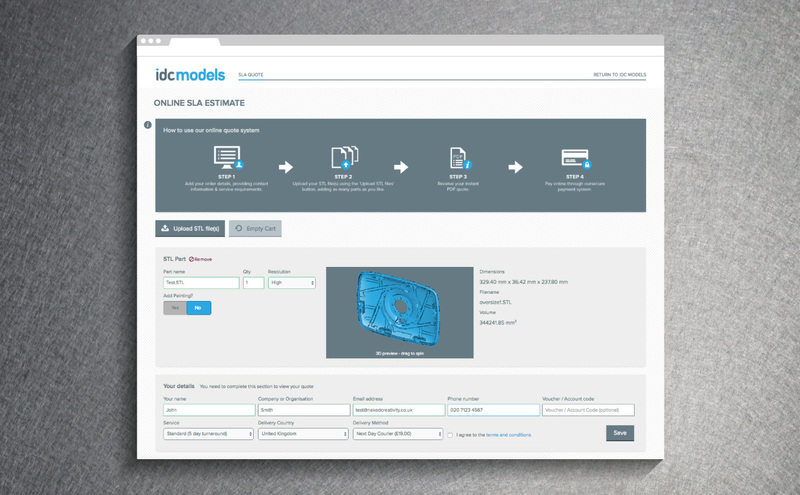 Naked Creativity developed an online application that allows customers to upload CAD files and order online, delivering significant time savings to the IDC Models team. 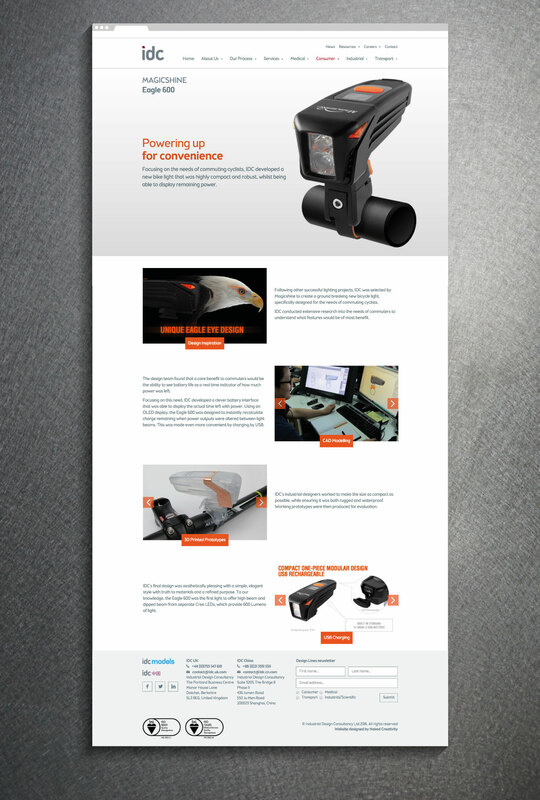 The web app reads dimension data from the CAD files, shows the customer a 3D preview, and an onscreen or email quote.